A long weekend is the perfect reason to take a short trip to the Grand Strand this Columbus Day. Beginning on Friday, October 7, there are so many things to experience all throughout the area, from Little River down to Murrells Inlet. Take advantage of the lower, autumn temperatures, as well as the lighter crowds and visit us during Columbus Day Weekend. One of the most beloved festivals from around the area comes back for its 12th year of celebration! The Shrimp and Jazz Festival will take place on October 8th and 9th on the historic Little River waterfront. Visitors to the north end of the Strand can take part in this two-day event that is sure to please seafood and music lovers alike. Although shrimp is the crown jewel of the festival, visitors will also find many other delectable items from local restaurants. With more than 150 vendors, guests will stumble upon a bevy of arts, crafts, food, and beverage selections. Stop by Broadway at the Beach during Columbus Day Weekend for the Sons of Italy Fall Italian Festival on October 8th and 9th. Beginning at 11 a.m. each day and running until 7 p.m. Saturday night and 6 p.m. Sunday night, join all of the fun, and come out to experience all of your Italian favorites! The two-day event will take place in the overflow parking lots near the Big D Theatre. The festival features authentic Italian foods including sausage and pepper sandwiches, meatball heroes, Neapolitan style pizza, chicken parmesan and ravioli. Don't forget about those tasty Homemade Italian desserts like cannoli, zeppoli (fried dough), Italian ices, biscotti, and assorted Italian cookies. For your beverage needs, soft drinks, beer and Italian wines will be available. The event will offer continuous live entertainment, Arts and Craft vendors, an Italian themed boutique, free face painting, a spaghetti eating contest, kids' activities, and much more. Admission is only $1.00, so make sure you include this event in your Columbus Day plans! Finally, if you're on the south end of the Grand Strand, stop by Murrells Inlet for the 17th annual Chilympics! 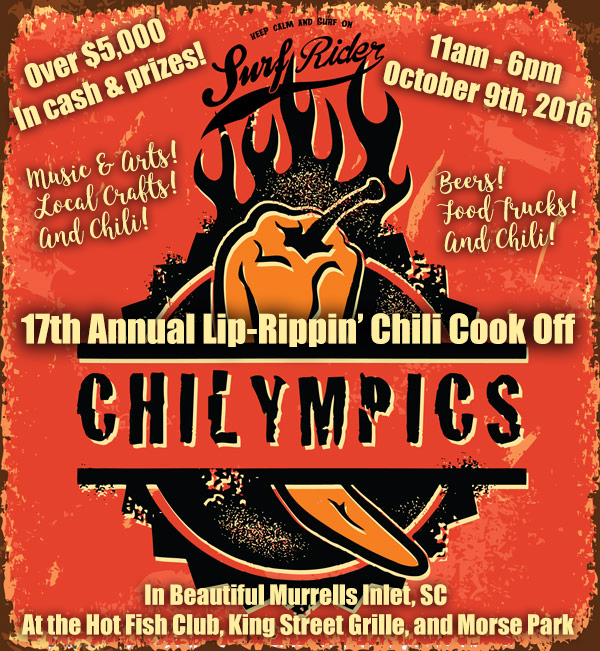 The 2016 Lip-Rippin' Chilympics Chili Cook Off takes place on Sunday, October 9th at the Hot Fish Club, King Street Grille, and Morse Park. The event raises money for the Surfrider Foundation, and it is free and open to the public. Beginning at noon, the Chilympics feature chili samples available for purchase from over 40 local "Chilimasters." Watch as chefs compete in the following categories: Best Overall, Best Restaurant, People's Choice, Hottest, Most Original, Best Vegetarian, Best Theme, and Best Use of South Carolina Products. There will be over $5,000 awarded in cash and prizes. 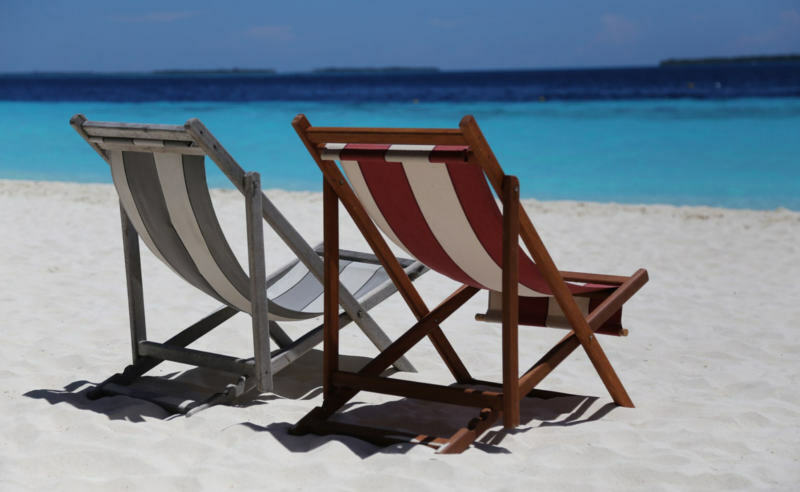 Make the most of the long holiday weekend by visiting these special events that take place all throughout the Grand Strand area. From Little River to Myrtle Beach to Murrells Inlet, Columbus Day Weekend offers up all the best in fun, food, and entertainment!